HardnessMaster: How does it work? 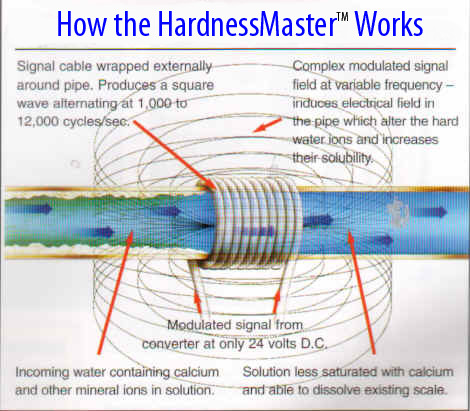 The HardnessMaster™ produces an oscillating electric field in the water pipe (refer to pictures above) which changes continuously in frequency and amplitude. 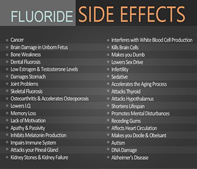 This changes the property of the hardness minerals so they stay in solution and not form scale in pipes, water heater, on fixtures and bath walls, etc. Click here to see an animated explanation about how the HardnessMaster™ operates.